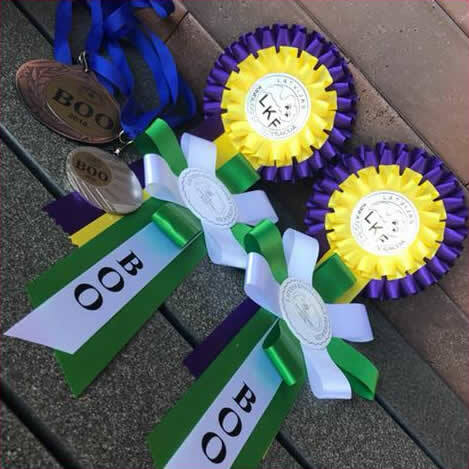 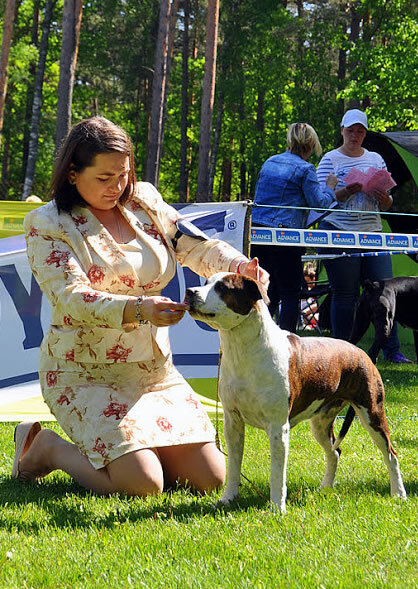 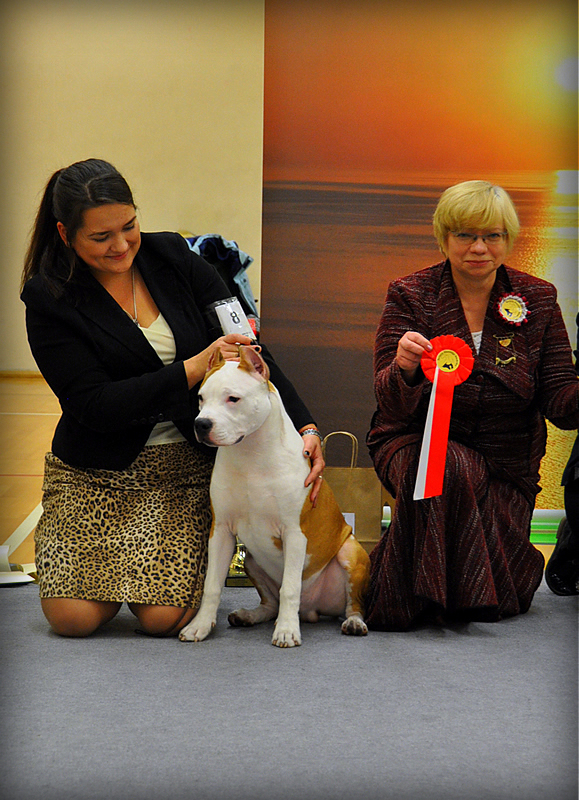 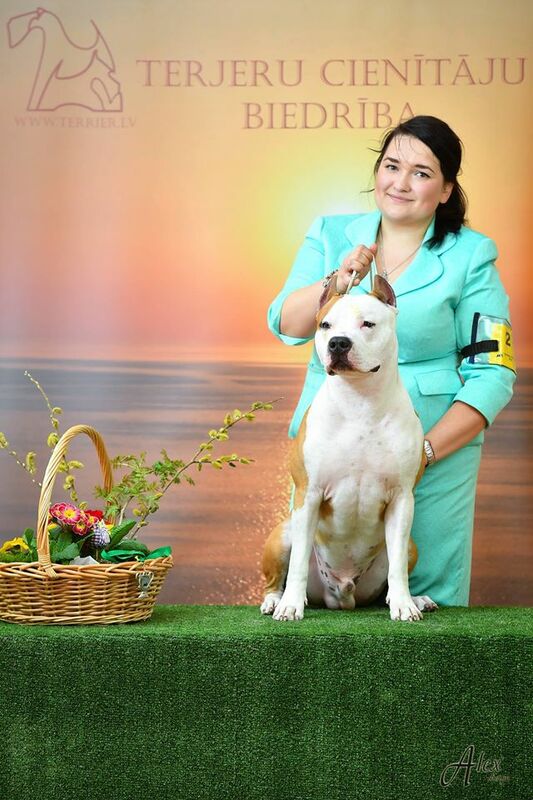 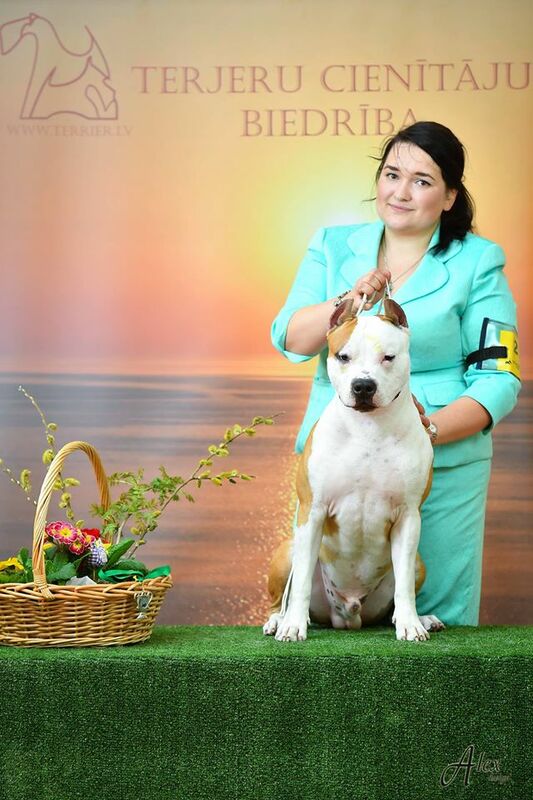 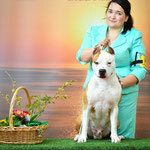 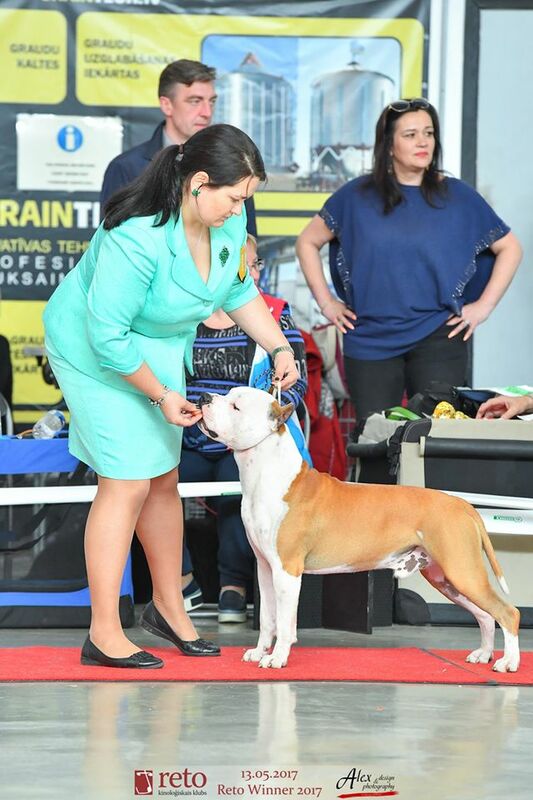 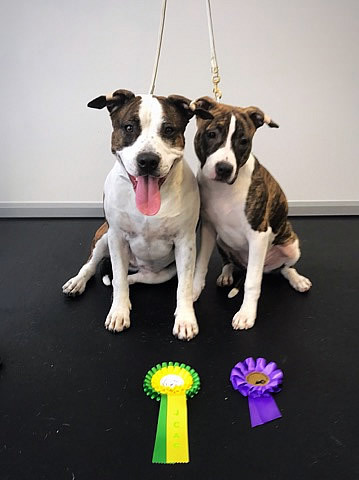 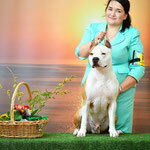 MIA ALBACHIARA LAZZARO - (Champion male) - Exc.1, CQ, KLU, BM-1, BOB, BEST IN SPECIALTY SHOW! 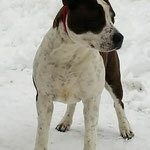 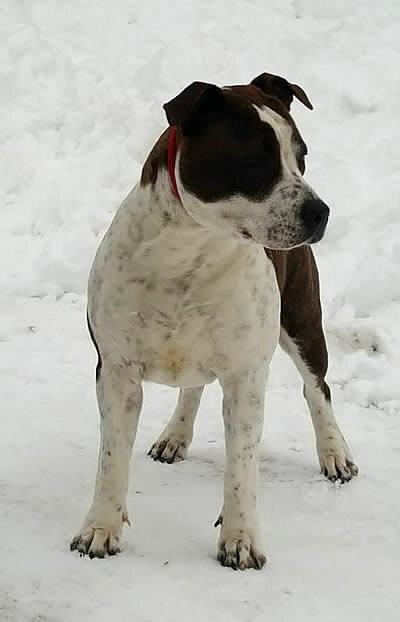 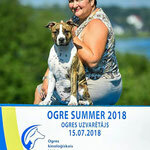 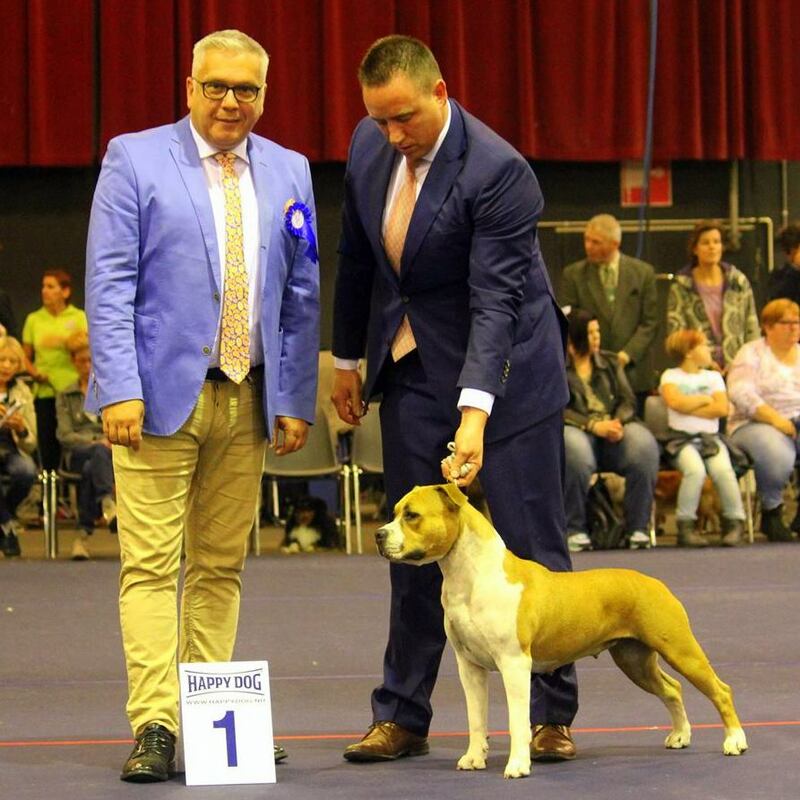 MIA ALBACHIARA LAZZARO - (Open male) - Ex.1, CQ, CAC, BM 1, CACIB, BOS - new LV CH! 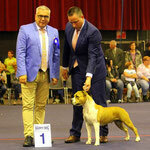 MIA ALBACHIARA MARGARITA - (Junior female) - Exc.1, PP, JCAC, BF 2 - new LV JCH! 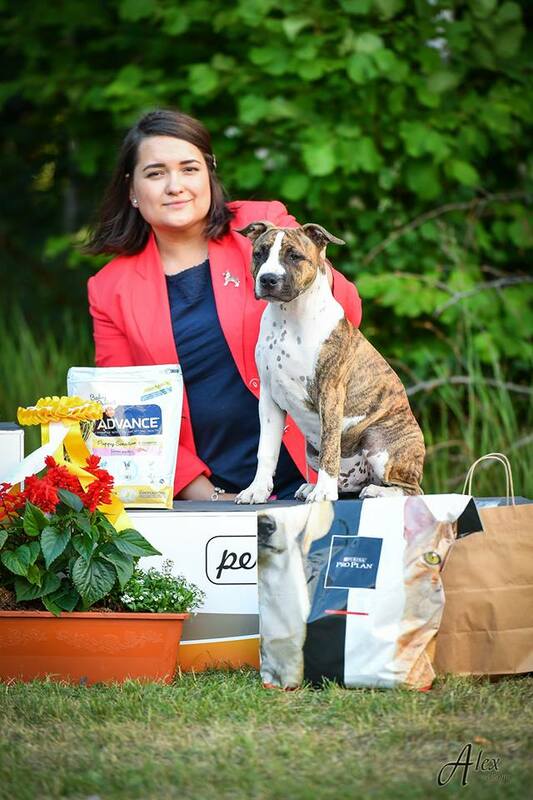 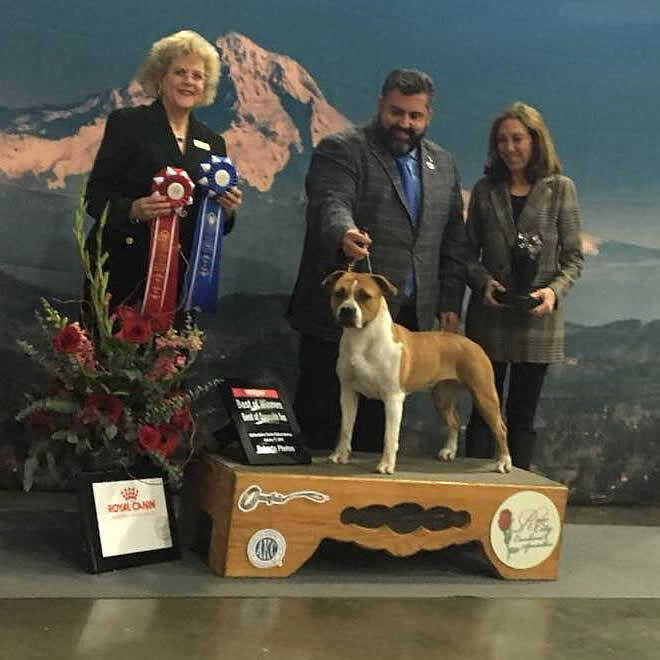 MIA ALBACHIARA ILARITA TO MR is new AKC CH! 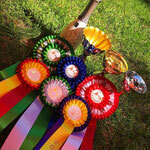 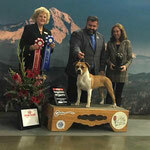 Thank you Karen & Ed Thomason of Alpine's AmStafs for finishing Adell's American Championship in very limited showing! 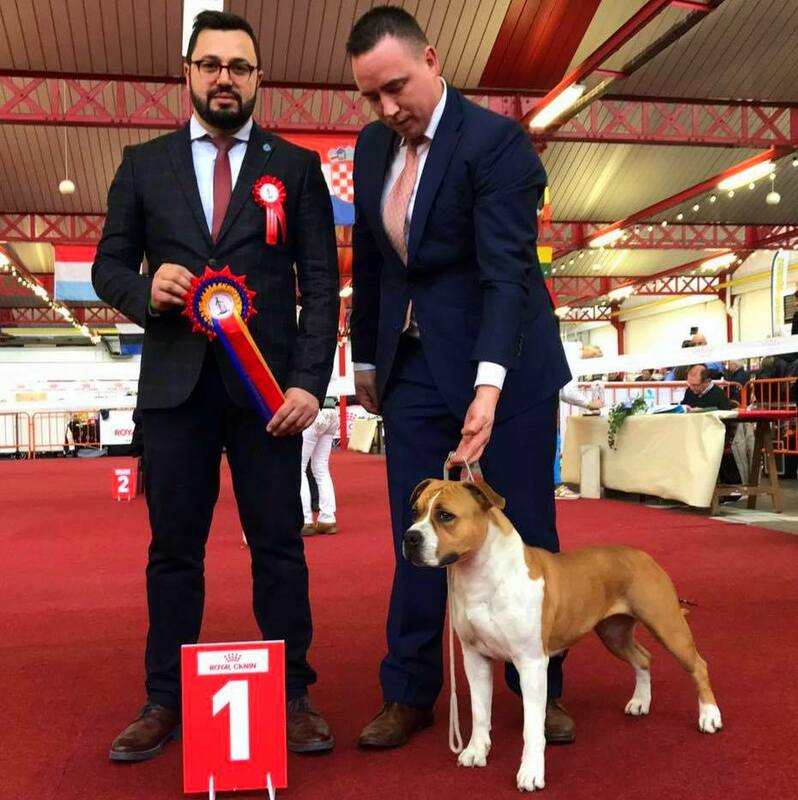 Congratulations to owner Mirko Pellini! 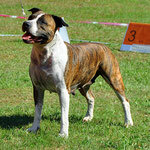 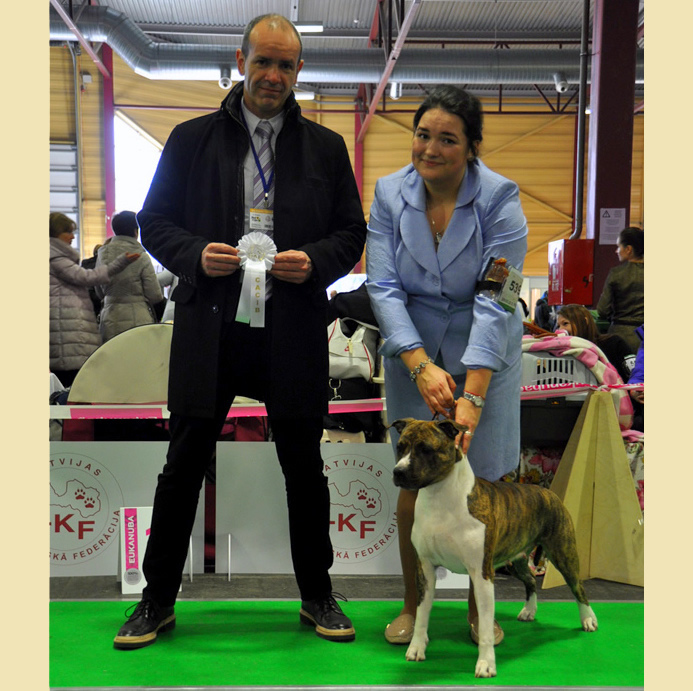 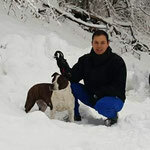 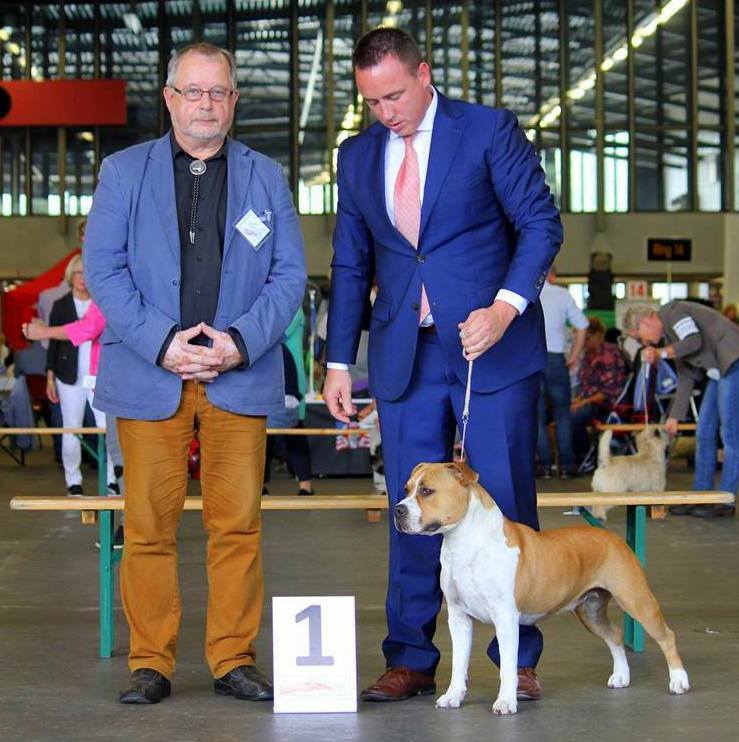 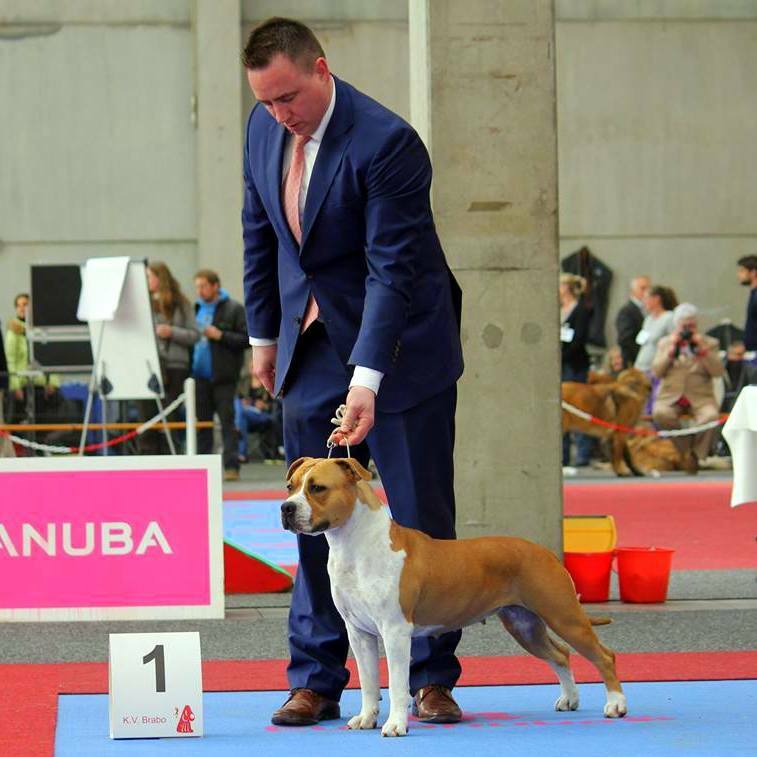 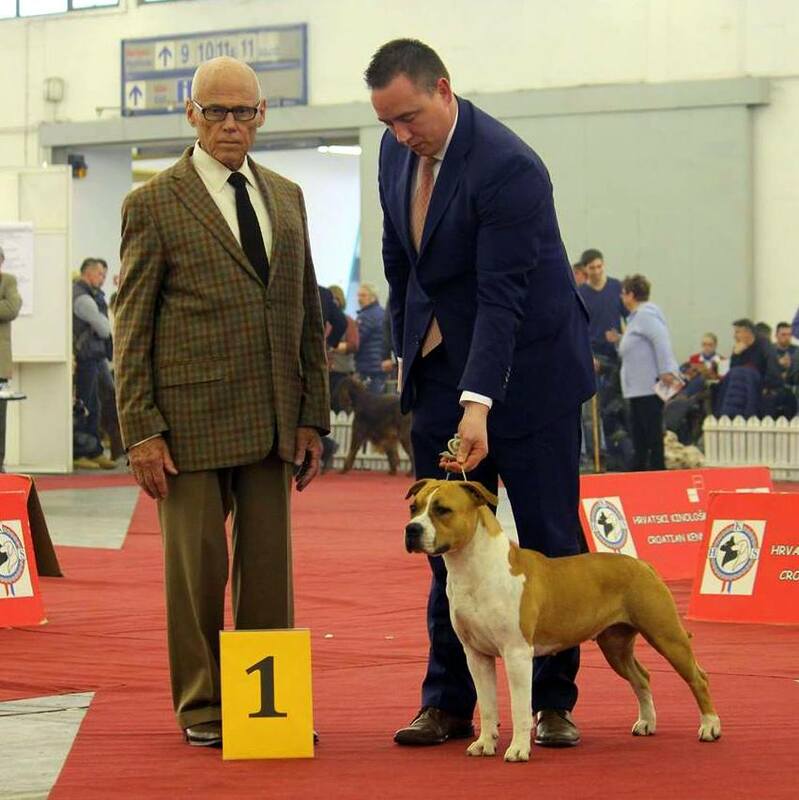 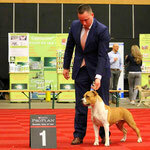 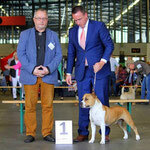 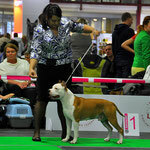 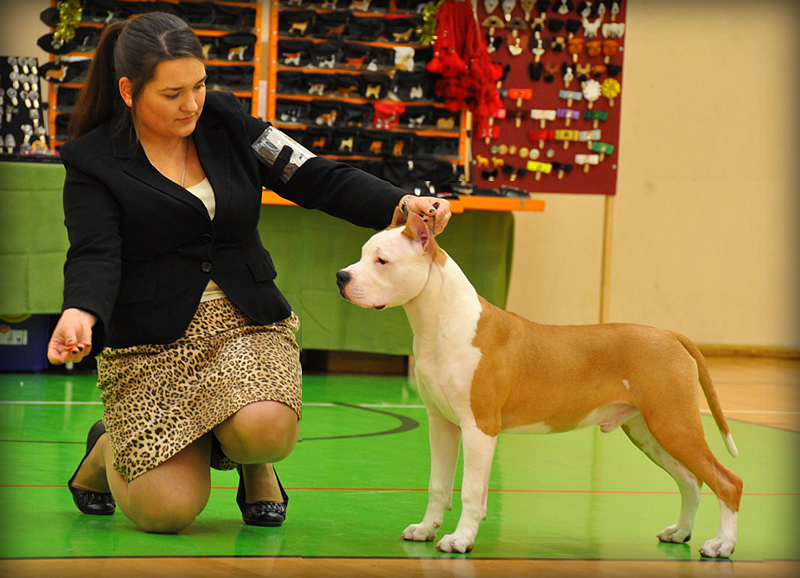 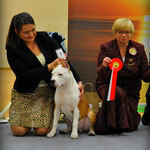 MIA ALBACHIARA LORENZA - (Junior female) - Exc.1,PP, JCAC, BF-1, BOS - new LV JCH! 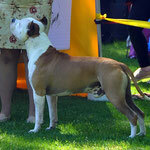 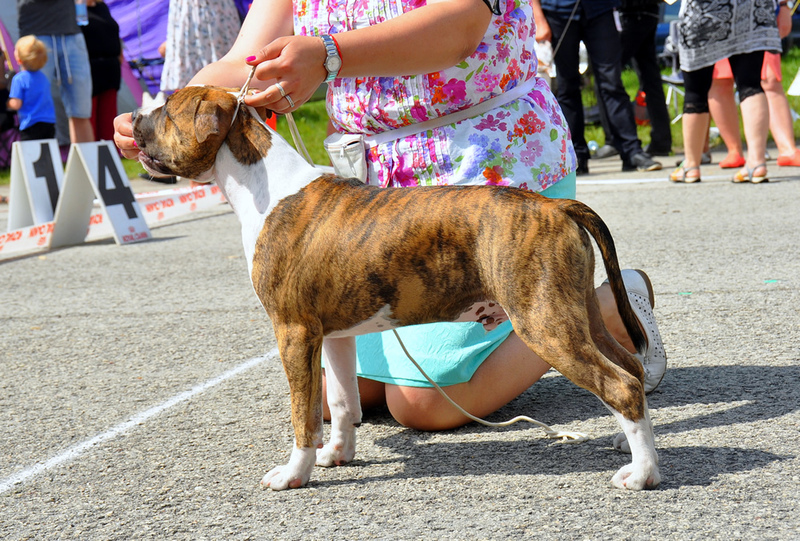 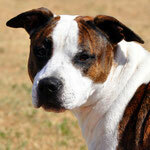 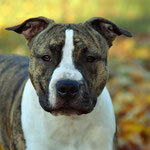 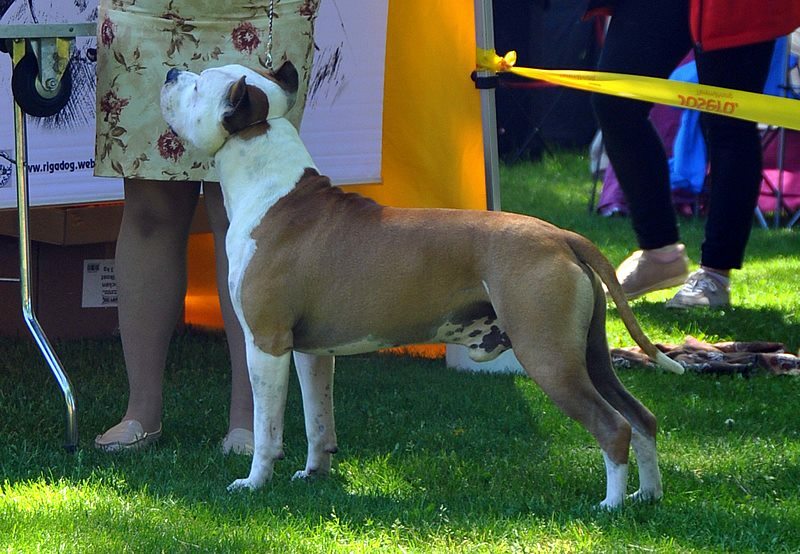 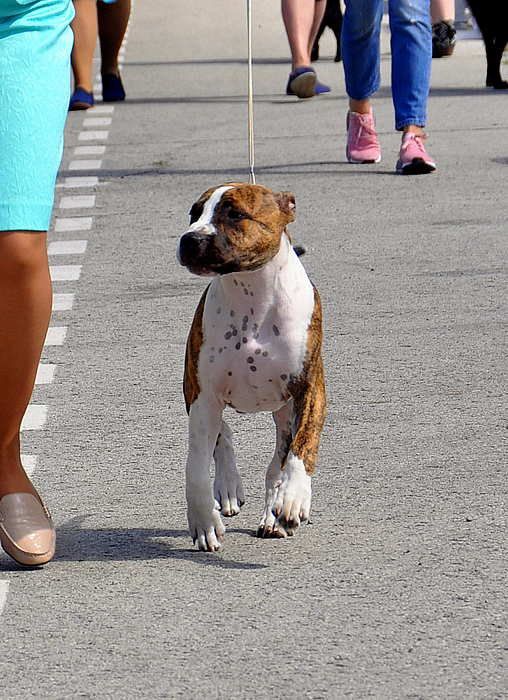 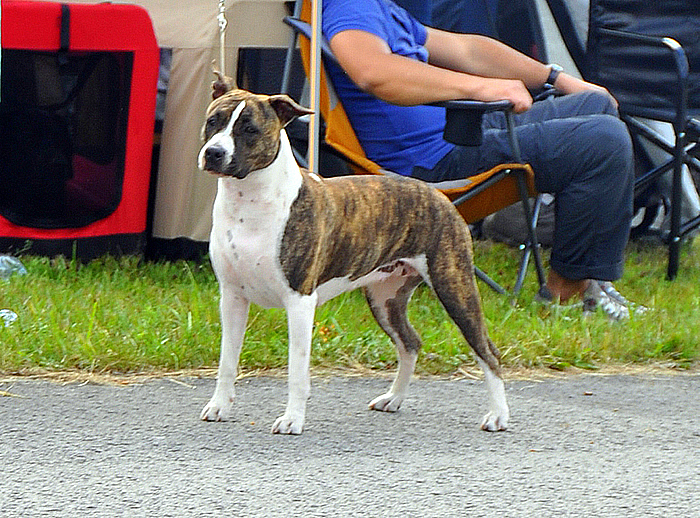 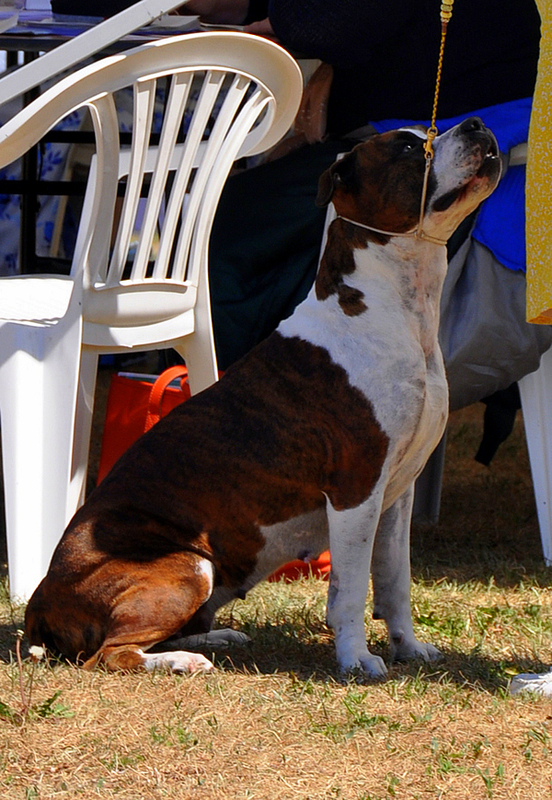 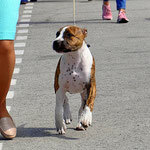 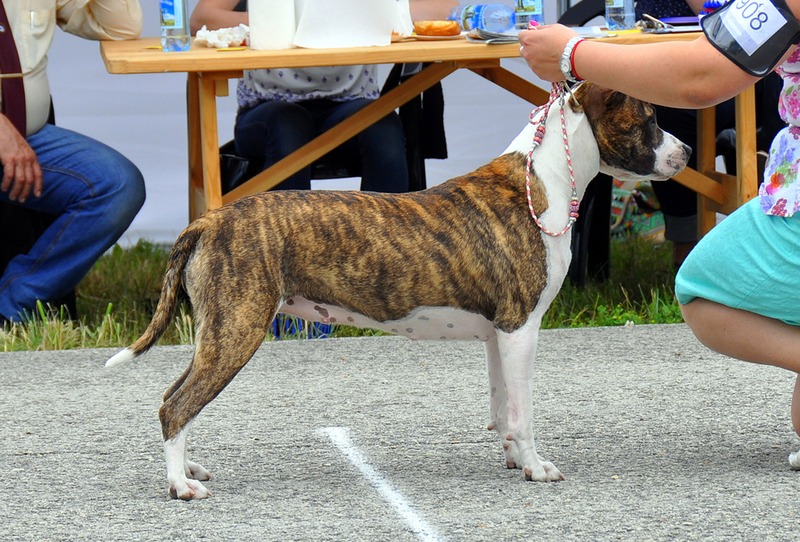 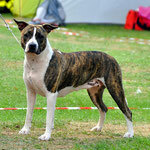 MIA ALBACHIARA LAZZARO - (Junior male) - Exc.1, PP, JCAC, BM-1, BOB, BIG-4 - new LV JCH! 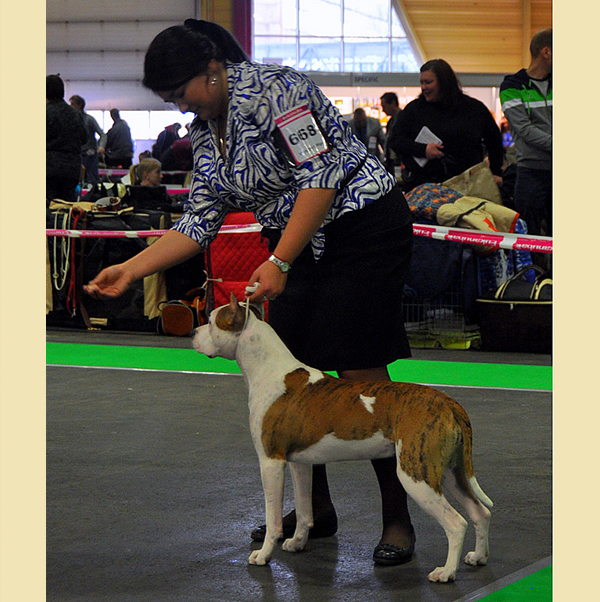 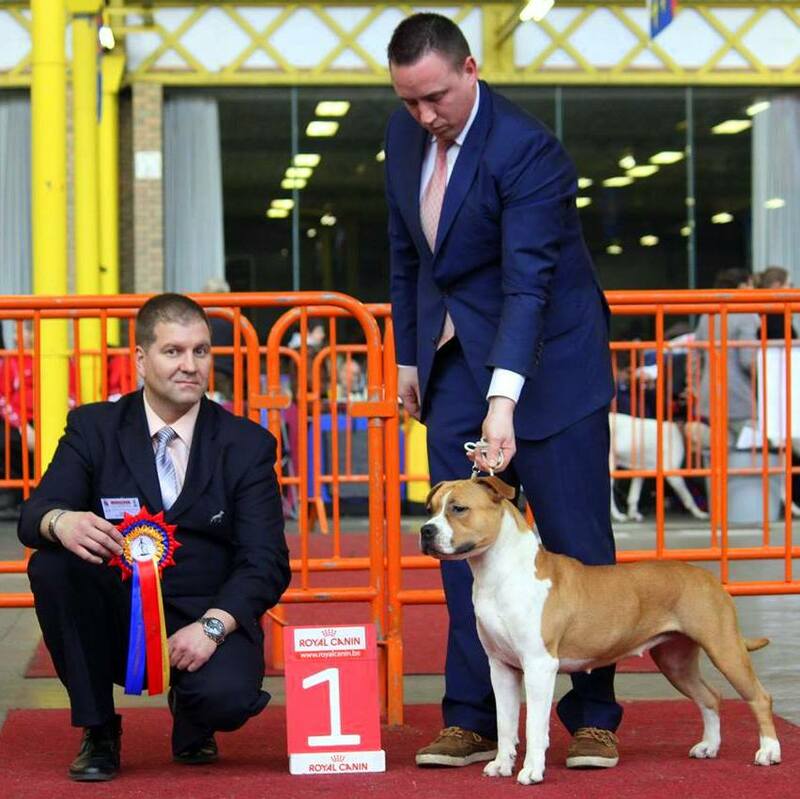 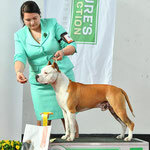 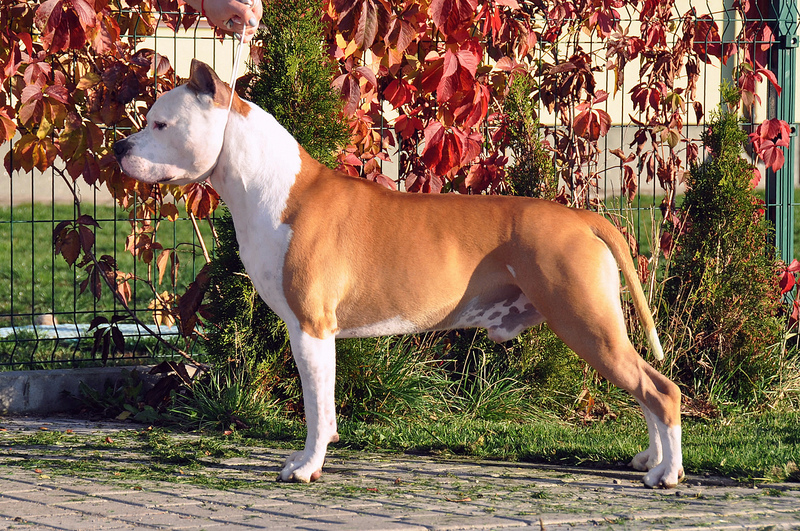 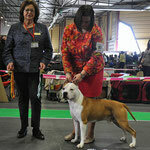 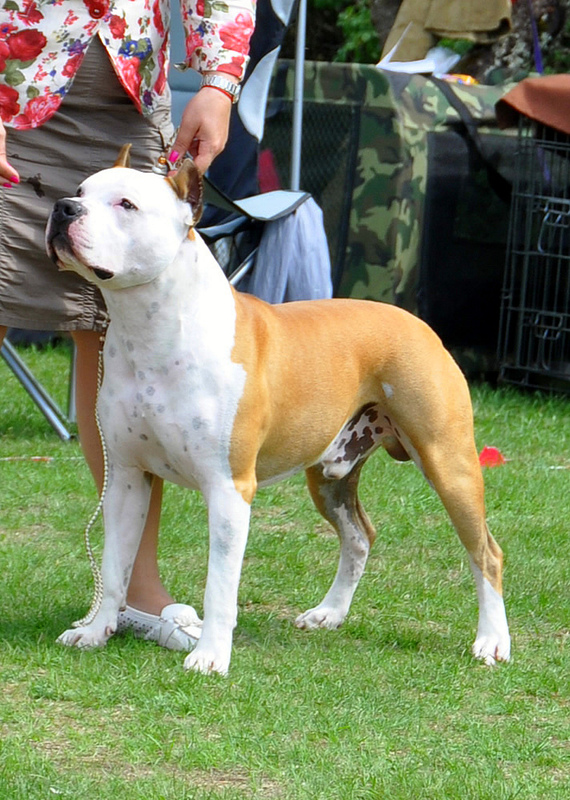 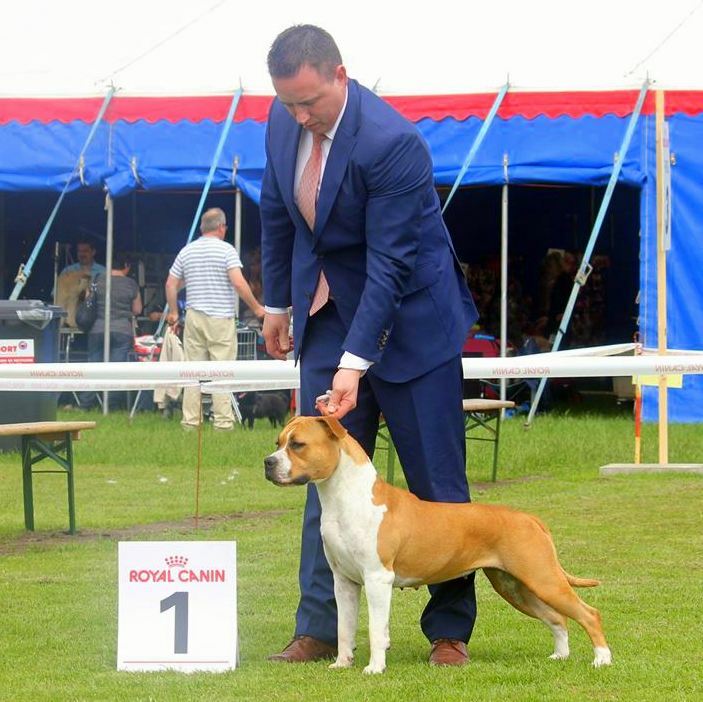 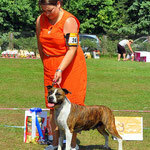 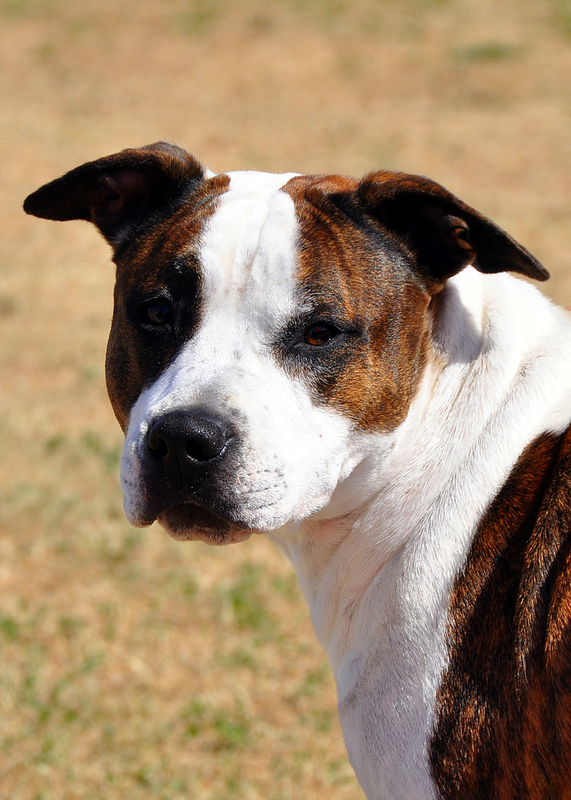 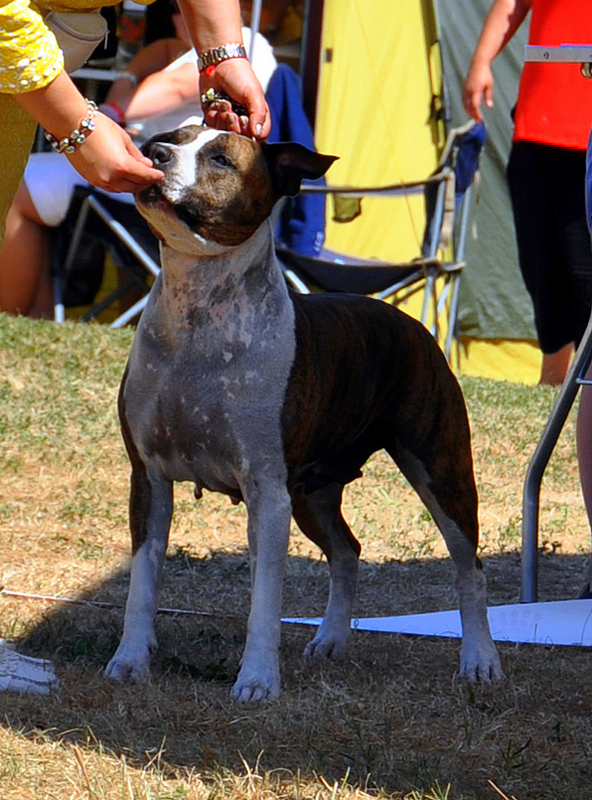 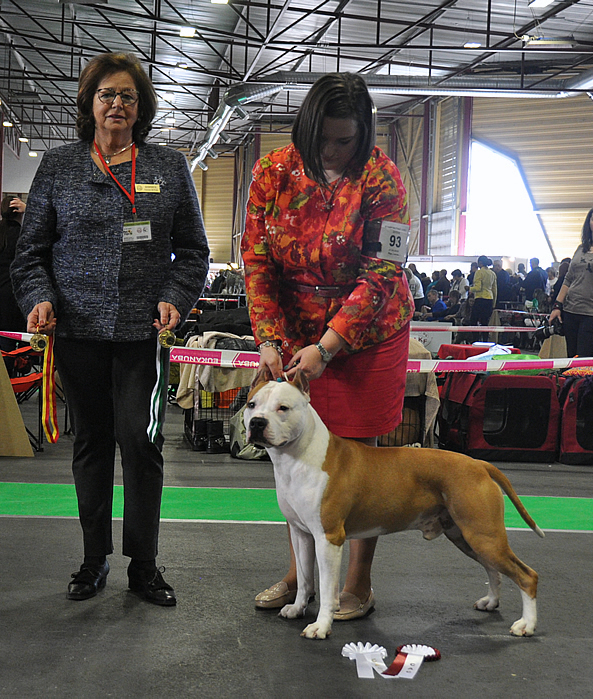 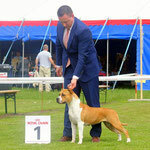 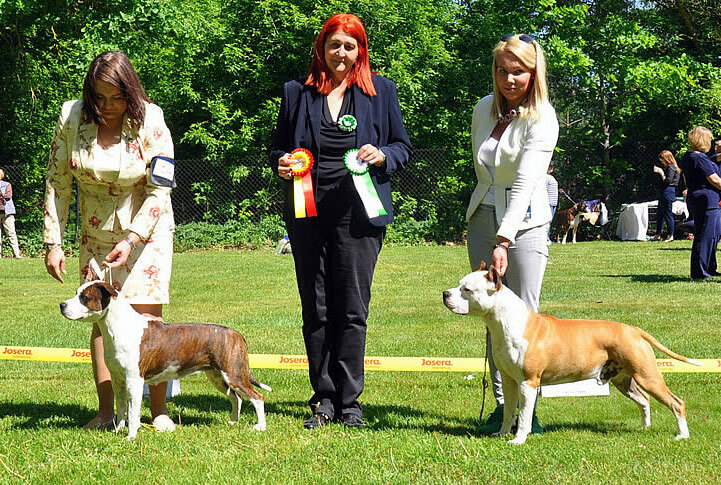 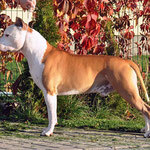 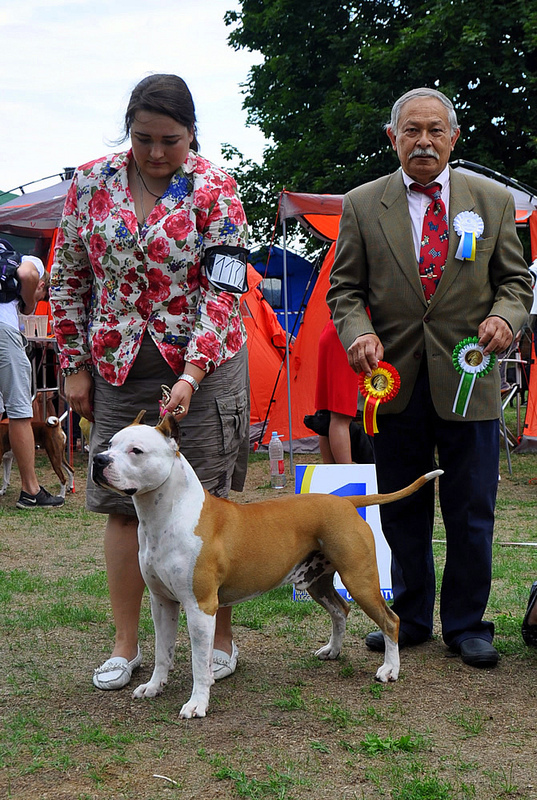 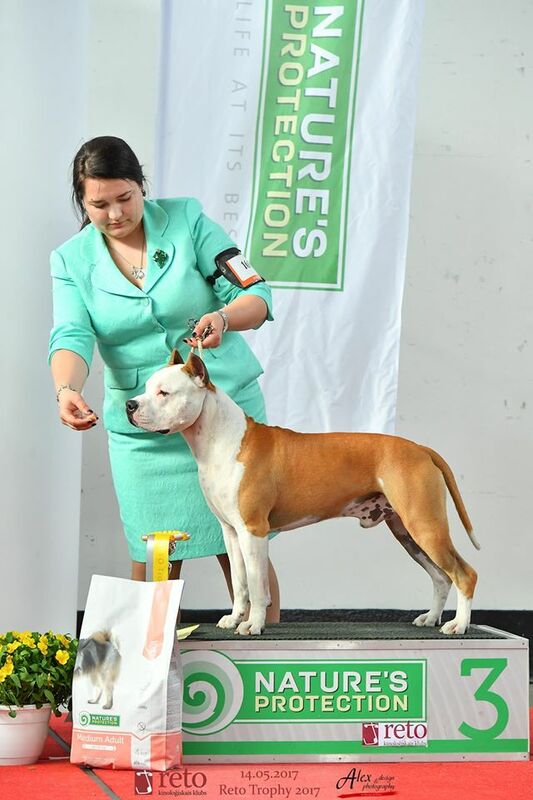 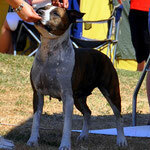 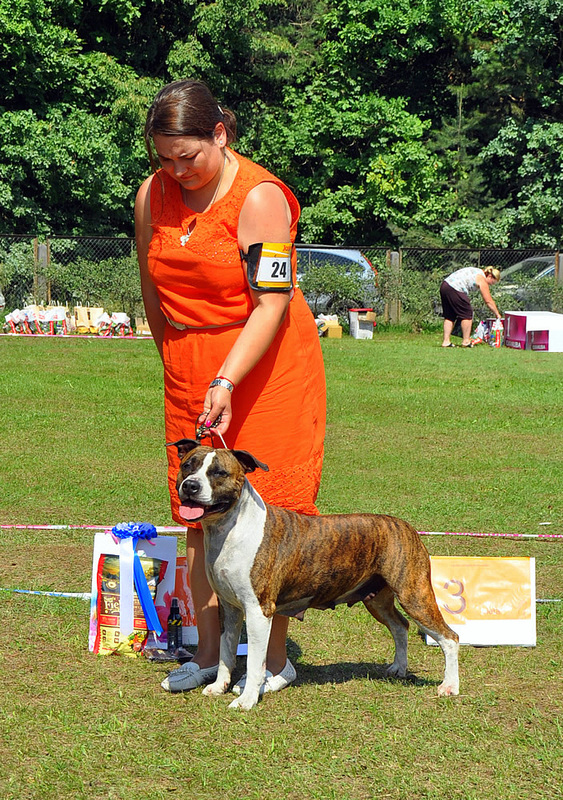 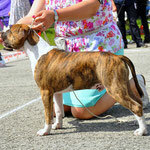 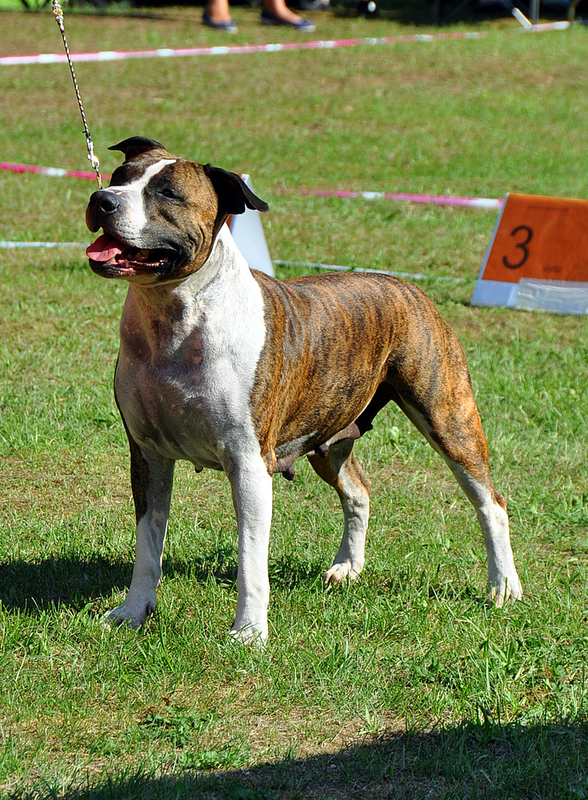 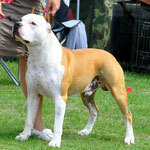 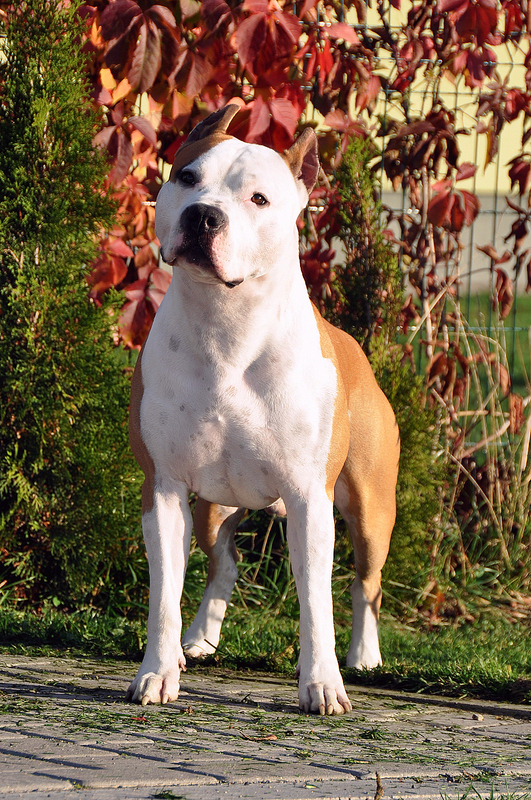 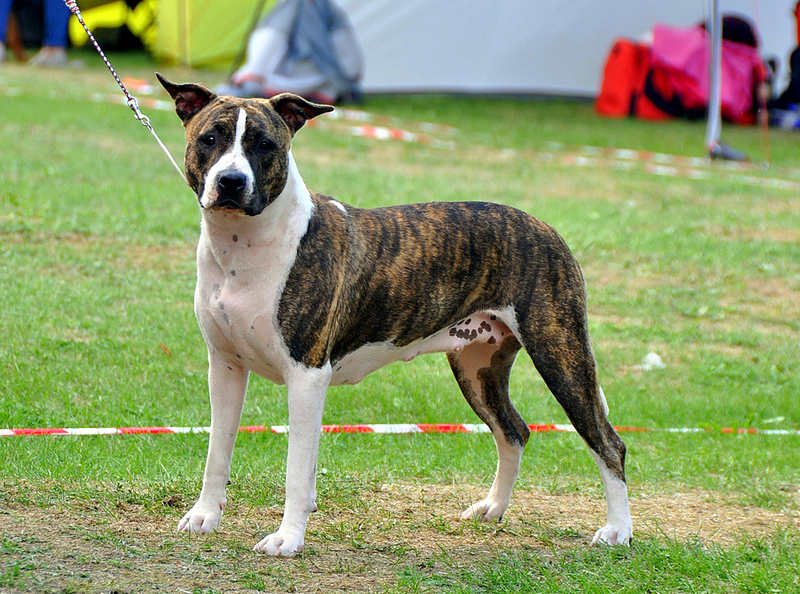 MIA ALBACHIARA HOT TICKET - (Champion female) - Exc.1, CQ, CACIB - new INT CH (C.I.B.)! 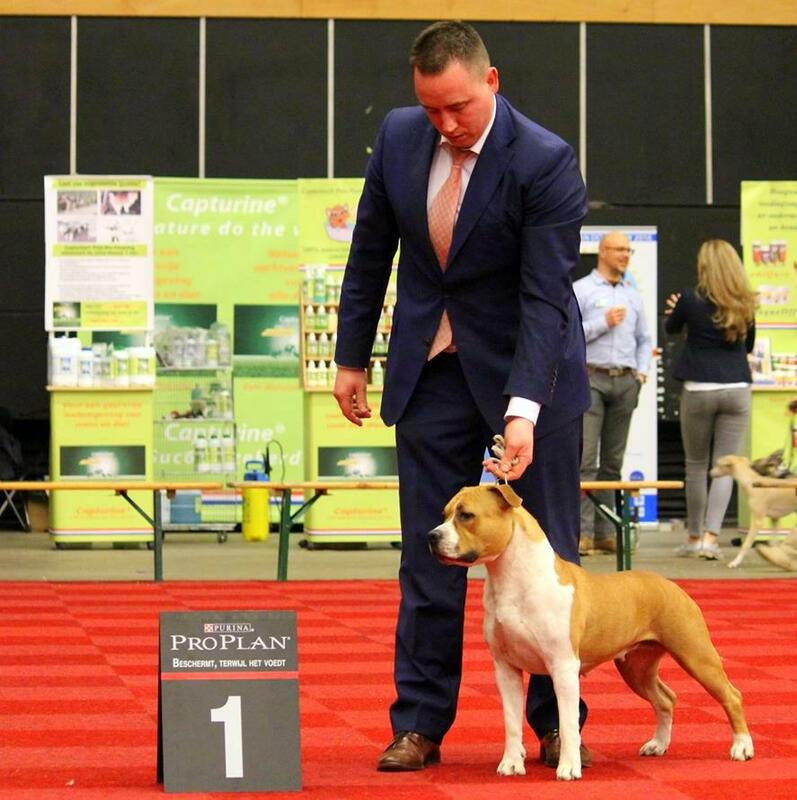 Congratulations to owners Nick Hilferink & Monique Van Poppel! 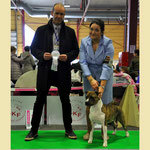 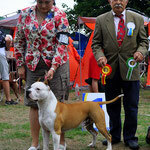 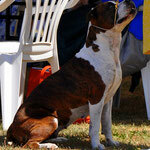 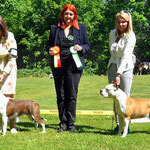 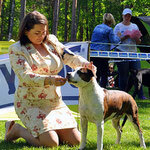 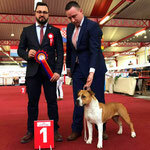 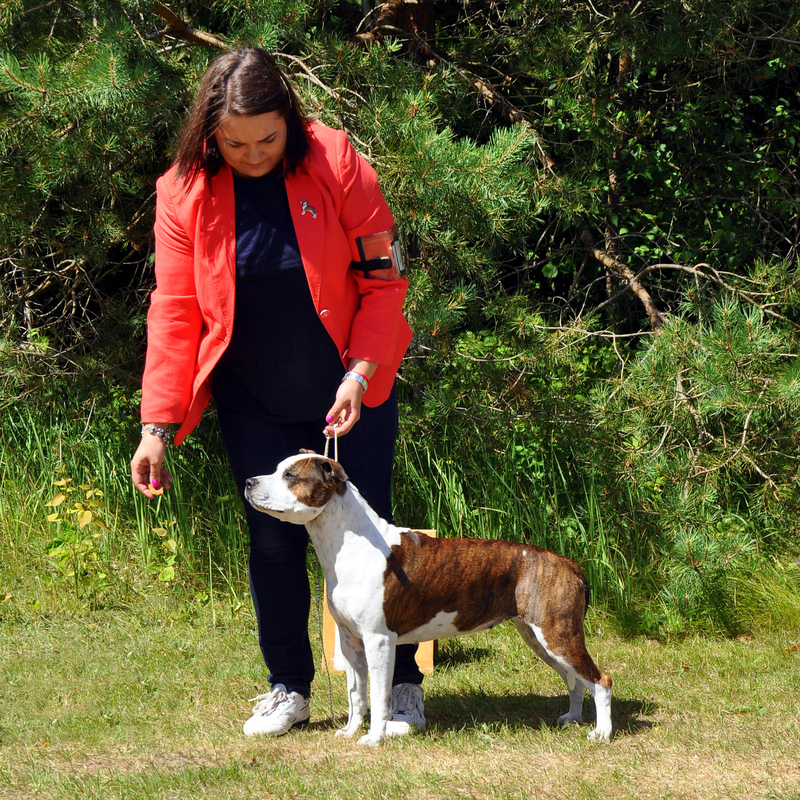 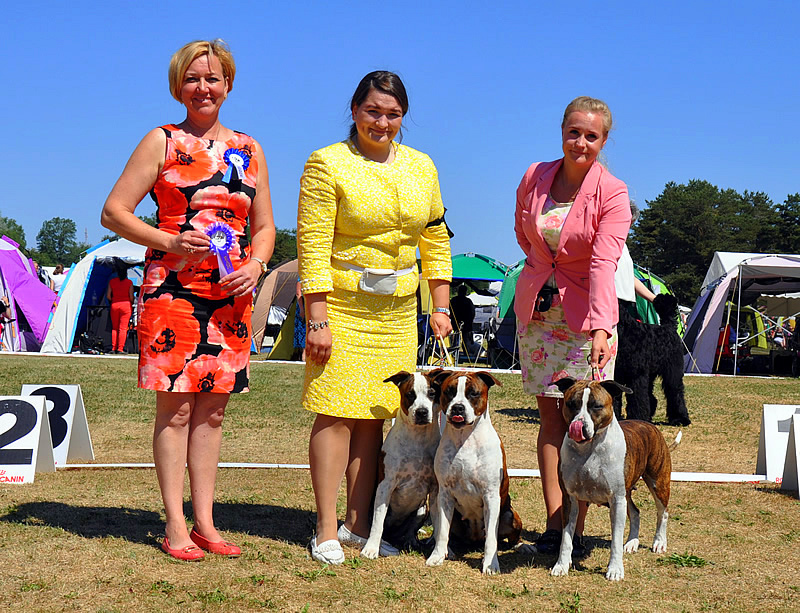 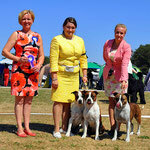 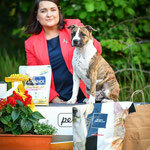 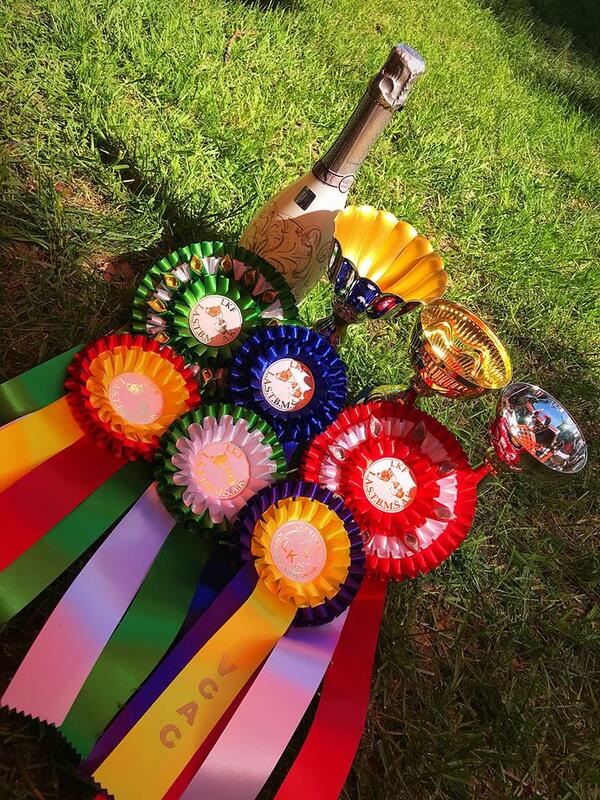 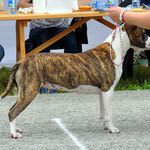 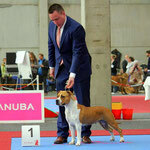 MIA ALBACHIARA ILARITA TO MR is new INT CH (C.I.B. 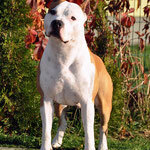 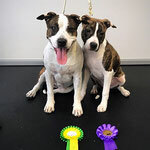 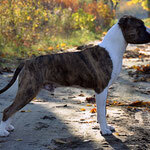 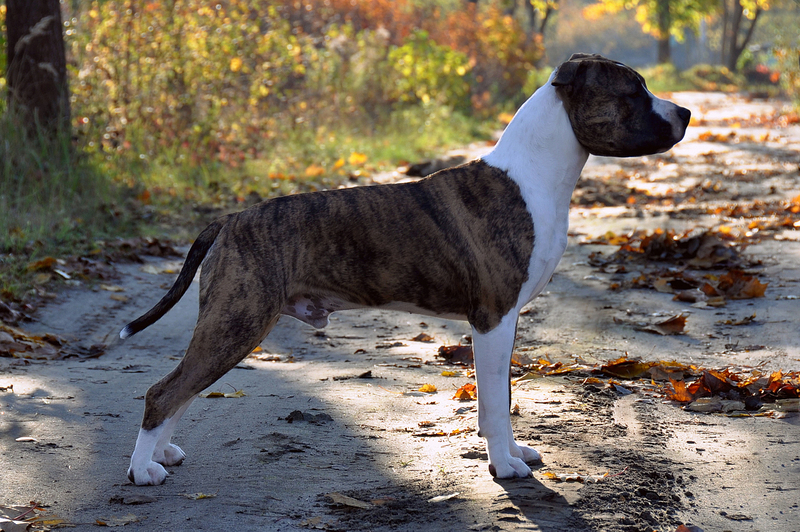 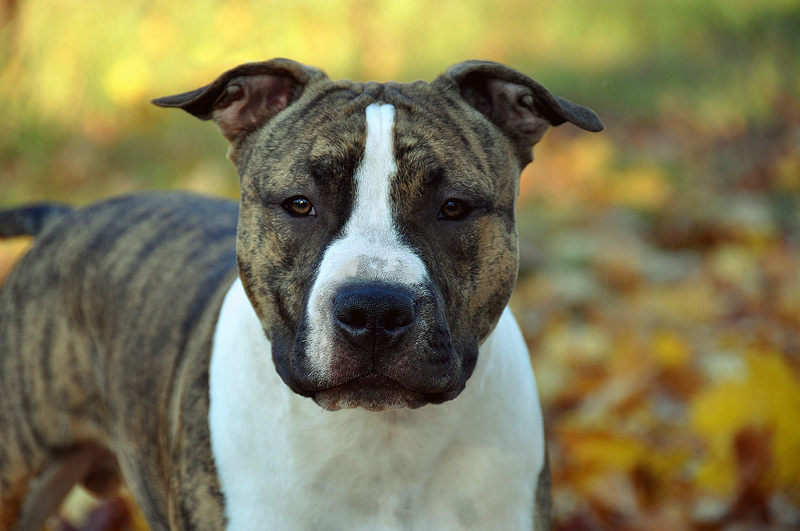 ), BEL & NL CH! 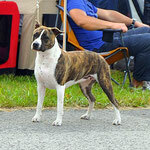 Copyright © www.astkennel.com. 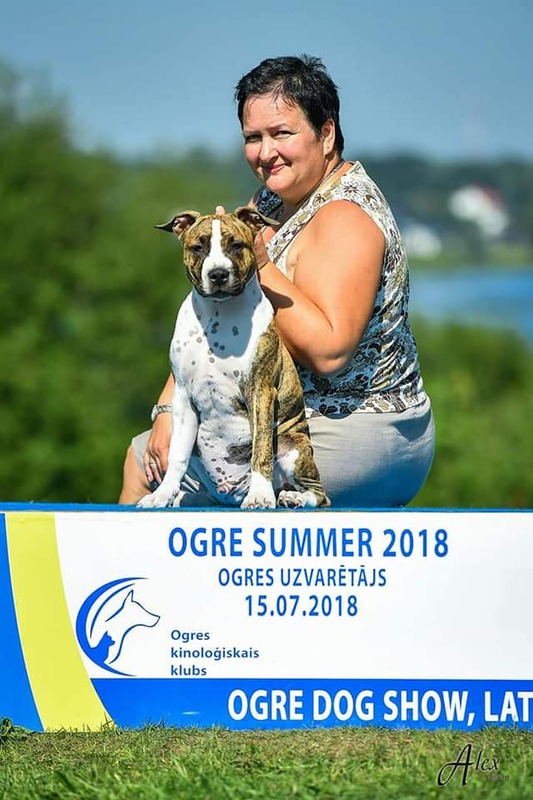 The unauthorized use of any of these materials is strictly prohibited.